AUTHORITIES have been forced to ban fishing for crab and prawns in parts of Queensland's southeast after an outbreak of white spot disease. Residents and commercial fishers have been banned along the Logan River after an outbreak of the virus hit wild prawns, says a report in the Courier-Mail. The restrictions include waterways between Jabiru and Luscombe Weirs in the west and mouth of the river in the east. "We are moving quickly to reduce the chance of the virus spreading any further through locally-caught wild prawns, crabs or worms," chief biosecurity officer Jim Thompson said. "Any movement of green, uncooked crustaceans taken from this area would pose a real risk for moving the virus beyond the Logan River." The control order restricts any movement of crabs, worms and prawns out of the defined area. Fin fishing and general boating are still allowed in the area. White spot disease poses no risk to humans but the ban still aims to stop the spread of the disease to other regions. Biosecurity Queensland was forced to place an aquaculture farm under movement controls earlier this month after stock tested positive for white spot disease. Chief Biosecurity Officer Jim Thompson said samples were sent to the Australian Animal Health Laboratory in Geelong and we had now received confirmation of positive results for WSD. "WSD is a viral infection that affects all crustaceans," he said. "Australia is considered free of the virus and this is the first confirmed case we've had in an aquaculture setting. 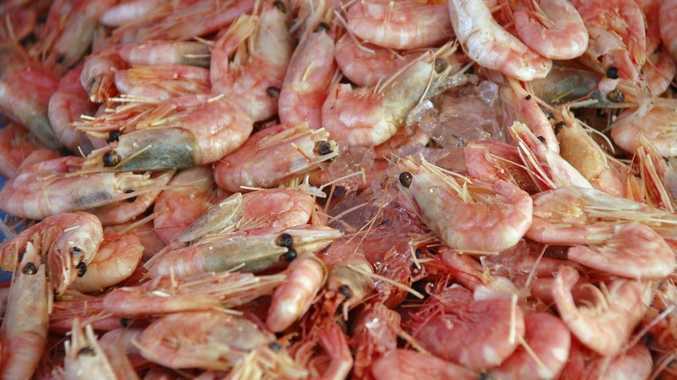 "Infected prawns do not pose any human health risk, and there is no suggestion that any product currently on the market is in any way affected. Aquaculture operators and fishers should report any unusual signs in prawns and other crustaceans to Biosecurity Queensland on 13 25 23.